All Star Martial Arts is a 2,000+ square foot studio that opened in the summer of 2018 at 706 Lindero Canyon Road, Suite 710 in Oak Park (cross street Kanan). Offering classes to all ages in Korean based Tang Soo Do (made famous in the U.S. by Chuck Norris). Also offered are women’s self defense programs, bully awareness program, sparring and more. More information at www.allstarop.com or by call 818.532.7770. The Tae Ryong School of Taekwondo was founded in 1982 by Grand Master Yong Shin, offering the Korean art of self defense to children and adults. Visit www.trtkd.com for more information. Camarillo: 2249 Pickwick Drive (805.388.5425). 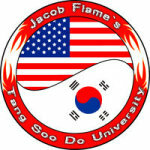 Since 2005, Jacob Flame's Tang Soo Do University has provided instruction in Tang Soo Do and the martial arts in the Thousand Oaks area. Tang Soo Do means "the art of the knife hand" or "the way of the Chinese hand." It contains characteristics of Chinese internal methods and Japanese striking styles. Jacob Flame's Tang Soo Do University has produced champions in life as well as in the martial arts. Headed by Jacob Flame (4th Degree Black Belt) and a staff of expert instructors and managers, the University offers a number of programs for physical fitness and instruction in Tang Soo Do, such as Pre-Karate, Junior Karate, Black Belt Club, Masters Club or Adult Tang Soo Do. The school is located at Stagecoach Plaza in Newbury Park at 300-F Giant Oak Avenue as well as other locations around the Conejo Valley. Visit www.ThousandOaksKarate.com or call 805.499.CHOP for more information. Located at 2341 Michael Drive in Newbury Park, Paragon Brazilian Jiu Jitsu provides Brazilian Jiu Jitsu and kickboxing programs to all ages, from kids to adults. Learn more at paragonbjjacademy.com or call 805.499.5300. 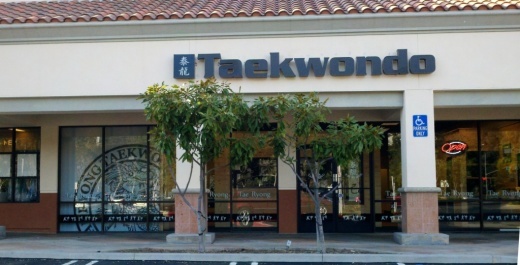 Mentors Taekwondo Academy is located at The Village at Dos Vientos, 330 Via Las Brisas #150, Newbury Park. The academy offers private and group lessons to children, teens and adults. Programs offered include Taekwondo, self defense, kickboxing, sparring and more. Visit mentorstaekwondoacademy.com for more information.